People come from all over to enjoy the lifestyle that World Golf Village has to offer. Once they arrive, the beautiful scenery, sense of community, and proximity to amenities and outdoor recreation is what makes them stay. Another great aspect of living in World Golf Village is the diversity of living options offered here. For buyers looking for that $300,000 dream home, here are just some of the options in World Golf Village for that price. 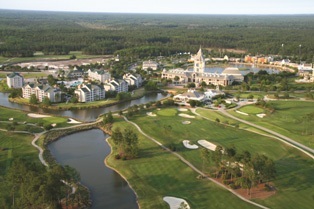 The Cascades at World Golf Village Offers Amenities Galore! 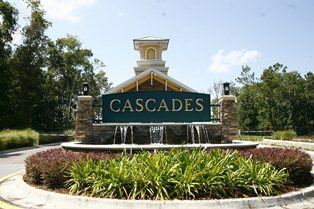 The Cascades is an active-adult community located in the heart of World Golf Village known for its 22,000 square foot grand clubhouse and plethora of activities happening year round. I took a tour of the amenity facility with Davidson Realty agent and Cascades resident Jock Ochiltree to spotlight some of his favorite community activities. Join us for our tour! What’s new in World Golf Village – Your Commercial and Residential Update is Here! As you have probably noticed, there is a lot of residential and commercial construction going on in World Golf Village and the surrounding areas. 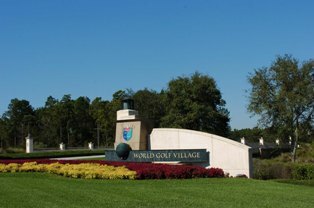 In the second quarter 2014 Metro Study report, World Golf Village was ranked in the top ten communities for annual construction starts with 86 homes under construction. Two of World Golf Village’s premier communities, The Cascades and Heritage Landing, are building out their remaining few homesites and The Residences’ new condominium phase, La Fontana at the Residences, will begin construction of a new building of 13 condominium homes in September. There are 23 homes currently under construction in the King & Bear from Laterra Links’ luxury coach homes to magnificent custom homes. As you can see, there is a lot going on! WGV’s Premier Active Adult Community Introduces 26 Available Home Sites! The Cascades at World Golf Village, a community for active adults ages 55 and up, recently announced the availability of 26 new homes for sale! Interested buyers may choose between one inventory home, three permitted homes (which can be built in 100 days or less), and 22 “to be built” homes, which allow you to select among available lots and choose between nine luxury floor plans. 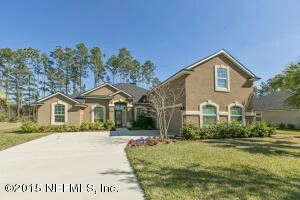 Every home features two or three bedrooms, home office, screened lanai, and paver patio & driveway. Homes range between 1,700 and 2,500 sq. ft. The remaining lots include water, conservation, and nature preserve views. 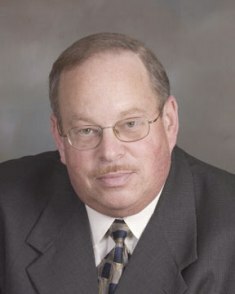 For Jerry Shagam, “retired” is a relative term. The Cascades resident “retired” to World Golf Village with his wife, Lynda, about four-and-a-half years ago from their long-time home in Long Island, NY but his calendar remains as busy as ever. Jerry credits the abundance of social and recreational opportunities that The Cascades offers for keeping him active but it’s as much to do with Jerry’s outgoing personality and community-oriented spirit. Jerry Shagam has never slowed down, and if you’re lucky enough to run into him at The Cascades Clubhouse for Tuesday morning coffee, maybe he’ll tell you a joke or his latest fishing story (and maybe even a catching story)! 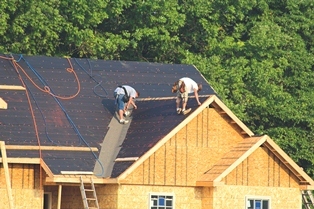 Leading home builder Inland Homes boasted a strong finish to 2011 with the closing of 13 new homes in December in The Cascades, World Golf Village’s active adult retirement community. The company’s total closings for the year came in at 45. “Inland Homes has a high-quality and well-priced product and that was reflected in their strong numbers for the year,” said Mirtha Barzaga, Realtor with Davidson Realty. “Buyers especially love that Inland Homes come standard with an impressive list of upgrades,” added Barzaga.